Ready to use latex based primer designed to prime existing oil and grease spots prior to asphalt pavement sealcoating. 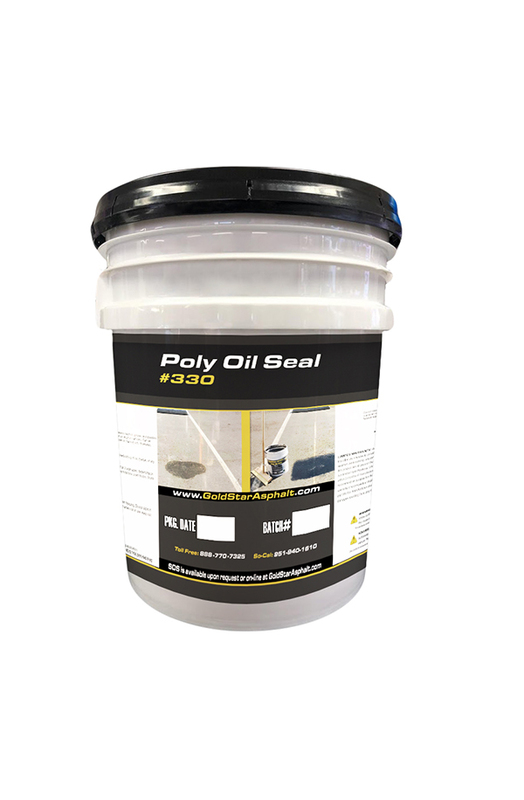 HP #330 Oil Seal ensures adherence between existing asphalt and applied sealcoat while preventing oil, gas, and other petroleum based substances from migrating through newly sealcoated asphalt pavement. Every gallon of GoldStar HP #330 Oil Seal is manufactured in Goldstar Asphalt Products manufacturing facility, located in Perris, CA. Goldstars facility is equipped with the latest technology ensuring consistency in every batch of HP #330 Oil Seal.